Richelieu Contemporary Antimicrobial and Copper Pull - Brushed Nickel - 203 mm C. To C.
Stylish and practical, this contemporary antimicrobial copper pull is a welcome upgrade to any space. In addition to decorating your house in the latest style, it continuously cleans frequently touched surfaces. The Richelieu products containing Antimicrobial Copper Alloys Group I to IV will have a surface providing continuous sanitizing action, as cited by Heath Canada's Pest Management Regulatory Agency (PMRA), under the authority of the Pest Control Products Act and Regulations. Registration Decision RD2014-15, Metallic Copper. Richelieu Contemporary Metal Pull - Matte Black - 96 mm C. To C.
Designed to enhance your home dicor, this Richelieu cup pull will add a modern touch to any room. 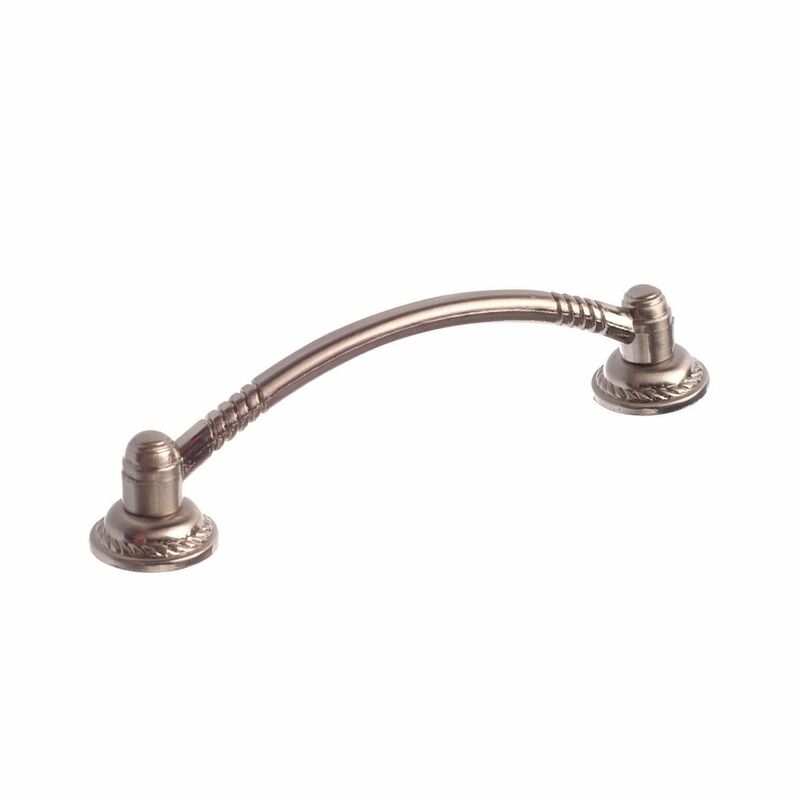 Richelieu Eclectic Oak Pull - Unfinished Oak - 96 mm C. To C.
Traditional Metal Pull 3 3/4 in (96 mm) CtoC - Brushed Nickel - Provence Collection Classic bow pull featuring a metal rod with twisted-rope detailing on round posts. Its style and finish will enhance your kitchen or bathroom cabinets.